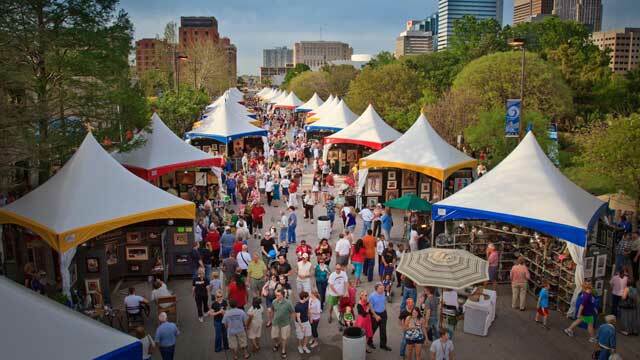 Festival of the Arts takes place at Bicentennial Park in downtown Oklahoma City. The event stretches from Lee Ave east to City Hall, and from Colcord north to Couch Drive, with 750,000 Festival attendees! Come explore and be part of an OKC tradition! 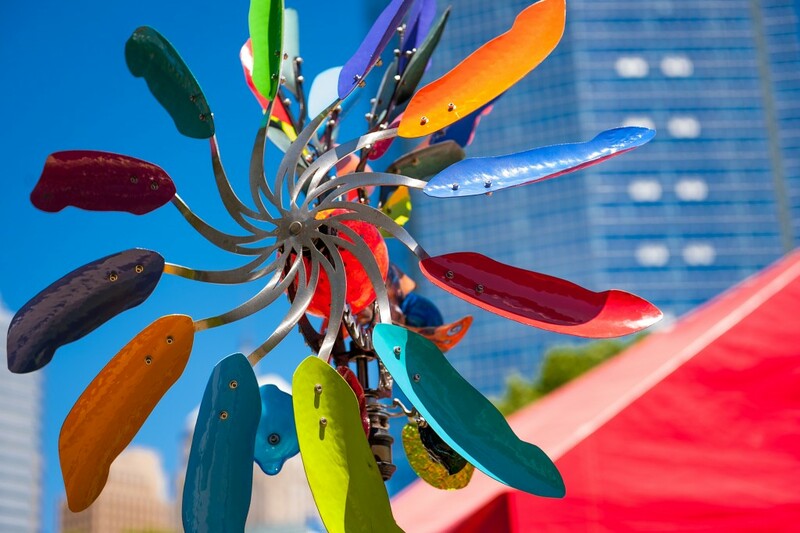 Festival is open from Tuesday-Saturday, 11 a.m.–9 p.m., and Sunday from 11 a.m. –6 p.m.—rain or shine! Getting to the Festival is easy. To see a Google map, click HERE. 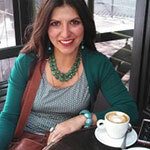 To see a list of downtown parking options, click HERE. From I-40, take the Downtown/Shields exit. The Festival is located in Bicentennial Park, on Walker between Colcord and Couch, and on the City Hall lawn. When traveling to the festival please note that Walker will be closed between Colcord and Couch Drive. Parking will be available in the Arts District Garage located just south of City Hall, as well as the lot located at 444 West Reno. A Chesapeake Energy CNG shuttle will pick up passengers at the parking lot every fifteen minutes from 10 a.m. to 10 p.m. daily during the festival. This lot is paid parking. Paid parking is available in lots and garages located throughout downtown Oklahoma City. There is also limited street parking located around the perimeter of the event. Please visit www.parkingokc.com to see a list of available lots. 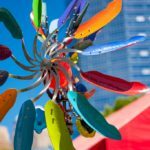 This unique series will feature artwork from local and regional artists that have been inspired by Jane Vincent Taylor’s poems. The exhibit will be on view in the South Lobby of the Crystal Bridge, free to the public, during regular Crystal Bridge hours: 9 a.m. – 5 p.m. Monday – Saturday and 11 a.m. – 5 p.m. Sunday. More than 230 rare and storied treasures created by the House of Fabergé will be celebrated in a new exhibition at the Oklahoma City Museum of Art. The 2015 Oklahoma City Summer Classic Dog Shows will be held June 24-28 at Cox Convention Center. In an all-new show, Ringling Bros. and Barnum & Bailey® Presents LEGENDS unveils the unbelievable to Children Of All Ages™. Help us release thousands of polka-dotted hungry helpers in our Conservatory so they can chow down on pests that are bugging our plants! Lady bugs will be available for release on a first come, first-served basis. 5:30 and 8 p.m. showings; The Wolfpack centers on six brothers who, along with their younger sister, were raised on welfare in a messy four-bedroom apartment in Lower Manhattan. 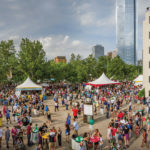 H&8th Night Market is a monthly, family- and pet-friendly street festival built around a lineup of the city’s top gourmet food trucks and live music on the last Friday of each month from 7-11pm. There is no cost to attend. An amazing running event, a 3 hour open tasting of delicious local craft beer, live music, tons of drinking games, and all the good times you can handle. This race begins with a 500m flat-water kayak or, new for 2015, a stand up paddleboard race on the water, then moves to the Oklahoma River Trails for a 5k run. The challenge includes youth and adult racing. Kayaks and PFDs will be provided on race day. This Fourth of July themed festival on June 27 features the RIVERSPORT Challenge 500-meter kayak/5k run duathlon and the Stars & Stripes Regatta featuring masters racing. Stop by to hear about the plans for the future and GREAT deals on food, drink and merchandise! 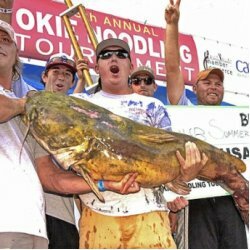 Travel to Wacker Park in Pauls Valley to celebrate the sport of noodling at the world-famous Okie Noodling Tournament. Noodling has recently been the subject of articles, books and documentaries, and you can see what all the fuss is about at this exciting event. Contestants will scour area rivers and lakes using their bare hands to wrangle the biggest catfish in the state and bring them back to the festival. Witness as huge live flathead catfish are brought in to compete for bragging rights and the prizes in categories including big fish, top female and 18 and under.